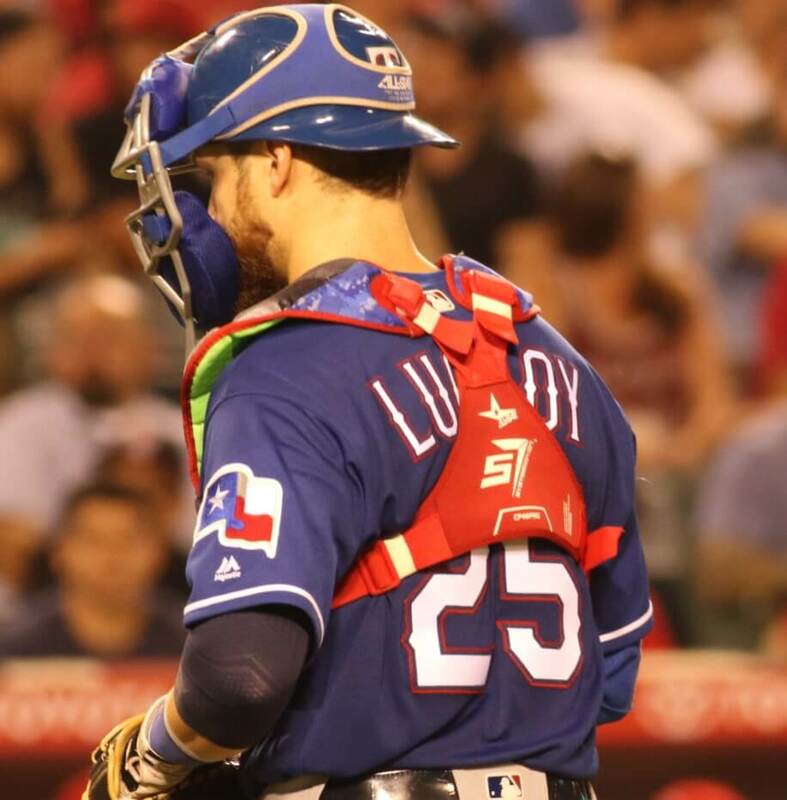 Jonathan Lucroy is head-to-toe All-Star in the squat. 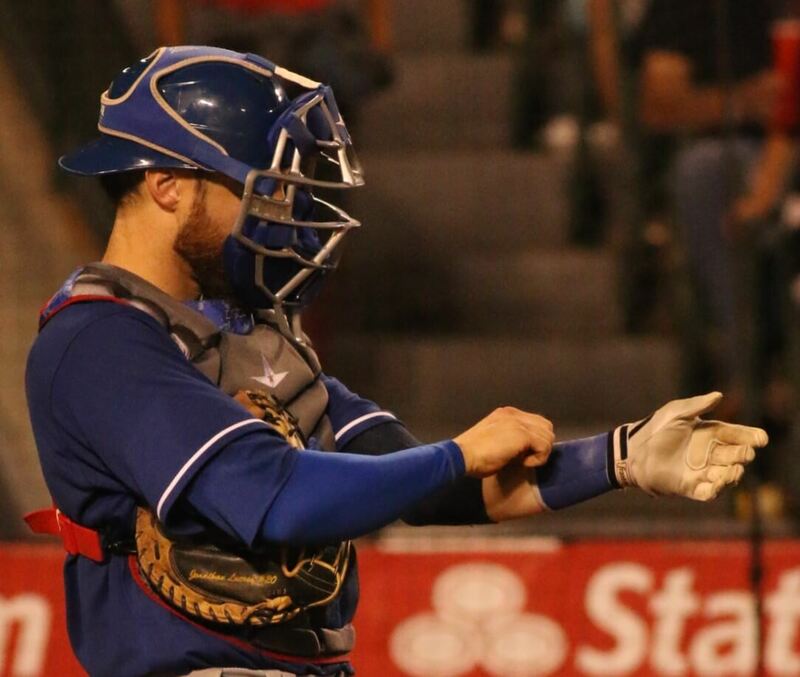 The FM25LMX traditional face mask that he wears is available at the link. Get the matching skull cap here. 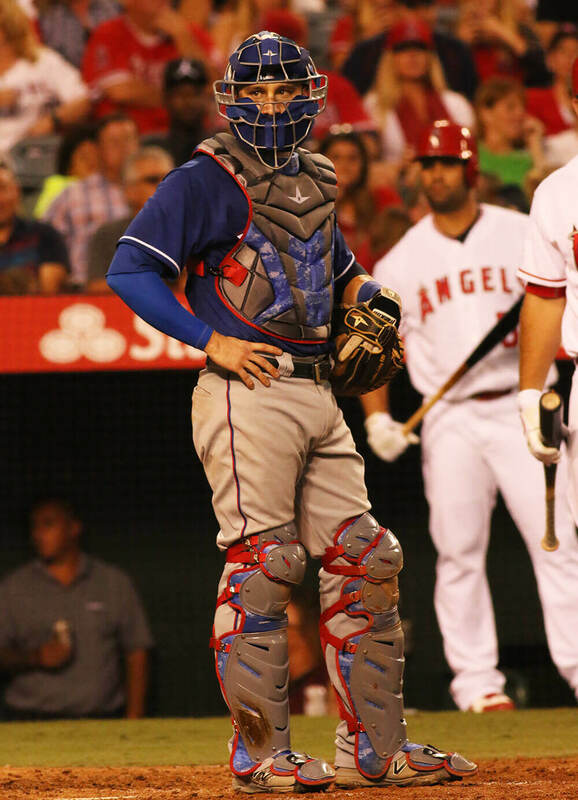 Categories: Texas Rangers, Jonathan Lucroy, Gear, Catcher, Catcher's Gear, Face Mask.